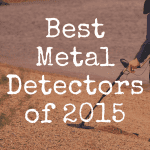 Are you searching for a metal detector that can handle a lot of moisture? 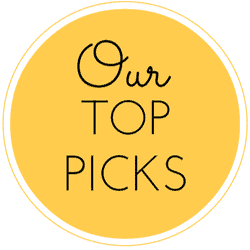 Do you want to search for new treasures at the beach, the lake, or in nearby marshes? If so, you need a waterproof metal detector that can withstand the elements as you continue your search. In this article, we’ll look at why you need a waterproof metal detector, what features are most important, and which metal detectors are best for searching in wet areas. 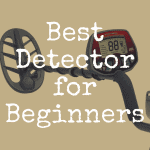 Why Choose a Waterproof Metal Detector? With hundreds of metal detectors to choose from, why should you choose a waterproof model? Mostly, waterproof detectors are best because they give you access to more treasure hunting opportunities. 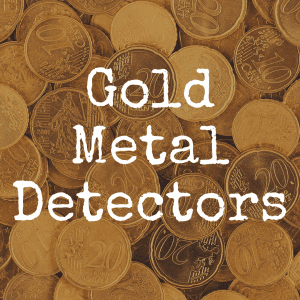 There are tons of valuables that you can find near beaches, lakes, or marshes, but unless your metal detector is waterproof, it will be impossible to search without damaging your equipment. Waterproof metal detectors are designed to handle harsh conditions, but you should also consider where you plan to search. If you will spend most of your time combing the beaches for treasure, you need a metal detector that can handle the unique elements of saltwater and sand. When you’re searching on salty beaches, you will have higher levels of mineralization and this can be a problem if you’re metal detector isn’t adequately equipped to handle it. On the other hand, if you will be searching in mostly fresh water areas, you need a metal detector with excellent discrimination to filter out junk that often get buried near lakes and streams. 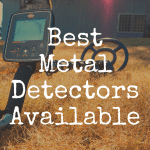 Whether you are looking for the best metal detector for the beach or you just want a waterproof detector to search near a creek or pond, you should make sure that your detector is approved for use in your unique environment. Searching in underwater areas can also be difficult when you are walking for long periods of time, so choose a detector that is lightweight and easy to hold. 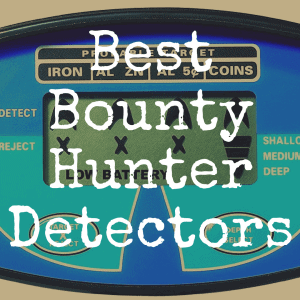 There are hundreds of metal detectors to choose from, but here is a look at the five waterproof detectors that should hopefully give you really nice results. Whether you’re searching near a beach or a fresh water pond, these detectors will be a good choice. The Garrett AT Pro is one of the top metal detectors in the world today. It’s well known as a reliable and high quality detector and it’s waterproof up to 10 feet, so you will have no problems searching in wet or marshy areas. It’s approved for use in both saltwater and freshwater environments so there are really no limits to where you can hunt for buried treasure with this metal detector! The Tesoro Sand Shark was created to work in wet environments, but it’s specifically a good choice if you are planning to search on the beach. This metal detector uses pulse induction technology to give you ultimate accuracy in shallow water, wet sand, or along the shore of your local lake. Best of all, it has a lifetime warranty so you never have to worry about damaging your equipment while searching in wet areas. The Garrett Infinium LS is one of the best all around metal detectors. You can use it in wet areas or on your everyday searches in the park. It’s designed with maximum sensitivity so you can detect even the smallest treasures hiding beneath the surface. If you are a serious MD’er and you want something that is powerful enough to take your hobby to a professional level, look no further than the Minelab Excalibur II. 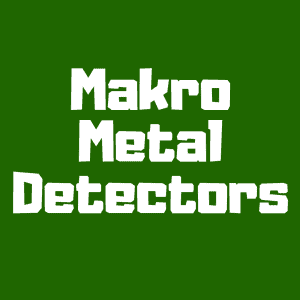 This metal detector is waterproof and it is heavy duty with excellent target discrimination even at massive depths. The only downside is that this MD is heavy! If you choose the Minelab Excalibur II, you will probably want to get a waist mount to make it more comfortable on long searches. If you are looking for a waterproof metal detector that won’t break the bank, go with the Cobra Wader. It’s budget friendly at around $400, but it gives you all the functionality you need for searching in shallow waters. It’s a good choice if you are new to searching in wet areas. You will quickly get the hang of its intuitive controls and discover lots of treasures hiding near the shore! When you are searching in wet areas, you will probably want to bring along some waterproof accessories to make life a little easier. There are several things you might find useful, but the most important accessory will be a set of headphones. Waterfront areas are notoriously noisy. From shrieking children to loud seagulls to angry waves and whipping winds, you will need headphones to drown out the noise and keep you focused on the task at hand. You should also choose a shovel that can handle wet sand or soil. Waterproof shovels that are designed for digging on beaches are the best choice when you are searching for treasures in wet areas. Even if the sand looks dry on top, chances are that it will be wet when you get a few inches below the surface. With the help of a waterproof metal detector and a handful of waterproof accessories, you will be ready to start searching for treasures hidden around beaches, lakes, and ponds around the world! Get started today and you will soon fall in love with the wild and crazy world of MDing. If this found this to be a helpful article, please “like” our brand new Discover Detecting Facebook page! Be sure to visit Discover Detecting again real soon!